Dr. E. F. Ricketts, a marine biologist, provided the earliest written description of the Cabo Pulmo Reefs. In the spring of 1940, Monterey scientist Ricketts and John Steinbeck his neighbor from Pacific Grove chartered a vessel into the Gulf of California to collect and document coastal marine life. While they had no access to diving equipment, Ricketts described Cabo Pulmo as a coral reef filled with an abundance of different wondrous marine organisms. Steinbeck’s chronicle of their expedition in The Log from the Sea of Cortéz was published in 1951 and is still available. It is a good read for anyone interested in adventure, natural history and a great yarn. In 1959, Donald Squires, a scientist from the American Museum of Natural History, produced a detailed chart of the reefs adapted from a 1664 United States Hydrographic Chart. 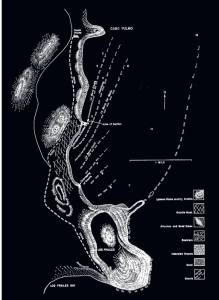 Squires also sketched the layout of the reefs as described to him by Jesus Castro Fiol (see: About this Film), noting the locations that harbored the greatest concentration of Cabo Pulmo’s famous stony corals. Squires also included a significant observation by Jesus Castro: at the height of the pearling era, as many as 100 to 200 boats plied these waters. Evidently, Cabo Pulmo’s marine resources were already declining by the 1930s as the pearls oyster beds were exhausted by 1938. 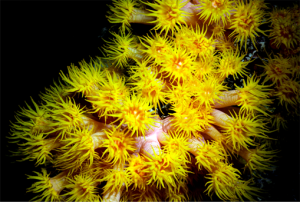 In the early 1980s, scientists began studying the corals and other invertebrates on Cabo Pulmo’s Reefs. Prominent scientists such as Richard Brusca, Oscar Arizpe, Hector Bonilla, Gabriela Anaya and Antonio Villarreal Cavados proved critical in igniting the efforts to protect this immense natural resource. Encouraged and supported by the scientists from Autonomous University of Baja California Sur (UABCS), the Cabo Pulmo community, including many of Jesus Castro’s descendants, petitioned the Mexican Government to establish a marine reserve to preserve their precious reefs. World-renowned ecologist Dr. Exequiel Ezcurra who was working for the Mexican Government, learned of the Cabo Pulmo initiative and successfully advocated on behalf of the petition. On June 6, 1995 the area was declared a Natural Protected Area as a National Marine Park by Mexican President Ernesto Zedillo. 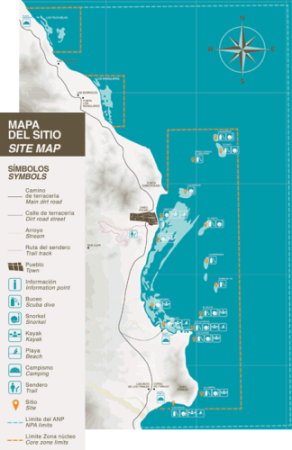 Today, the Cabo Pulmo National Park encompasses some 27 square miles (7,111 hectares) of ocean and beaches. For some ten years Cabo Pulmo’s Reefs were protected only by the Cabo Pulmo and neighboring communities. By 2005 protection was strengthened with the presence of the National Commission of Natural Protected Areas (CONANP), that regulates activities within the National Park. Aided by the CONANP and civil organizations, the Cabo Pulmo community still supports various conservation initiatives. Additionally, the residents founded their own non-profit conservation organization that is part now of an extraordinary coalition of international, national and regional non-governmental organizations, citizens, scholars, researchers and members of the Cabo Pulmo and neighboring communities, that work together promoting the protection of the natural and cultural heritage of the Cabo Pulmo and East Cape zone.